Oh those pesky Brit audiences and their old fashioned expectations of a plot and character development! 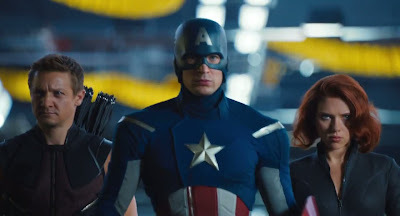 As they apparently are not impressed with just explosions, they've got a real trailer for The Avengers (2012). As Buzzfeed reports, the trailer reveals some minor plot points but the whole "getting the band together"-style narrative shouldn't be too much of a surprise to anyone. After all, it's the first Avengers movie so, obviously, that stuff was going to be shown, eh? Not much to add to the trailer. Go watch it. A lot of the stuff I wanted to see is in this one and not the US trailer. 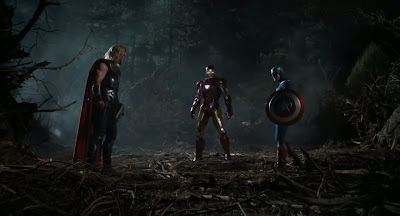 But, I've got to ask: When do we finally get to see-and-hear a clip with the "Avengers Assemble!" line said by, presumably, Stark or Nick Fury? Hey, it's already 1 March here in Hong Kong so only about 8 weeks until this rocks theaters here.